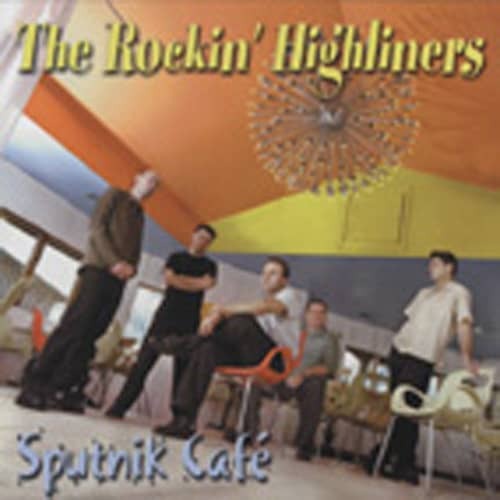 Canada's Rockin' Highliners are working for an US label, now. I really liked the rough sounds on 'Oh My'. 'Sputnik Cafe' is different. No experiments in sound, a rather conventional production. That's a pity. Don't get me wrong, this ain't no bad record. It's Just that I ... but I expressed that before. ROBERT TYCHOLIS - voc, GREG DEMCHUK - gtr/hca, CLAYTON SAMPLE - gtr, CHRIS BYRNE - bass, KEN McMAHON - drums. Customer evaluation for "Sputnik Cafe"